"A trip to Bella Rose Medispa is a wonderful luxury." "Great place, i recommend it for everyone, Men need to be beautiful too :)"
Bella Rose Medispa, located in Salem, OR, provides their patients with the services that they need to look and feel their very best. Laser treatments, SmartLipo, HydraFacial, Thermi treatments, weight loss, bioidentical hormone therapy, ZO Skincare, and cosmetic injectables and fillers are all available, along with a variety of other treatments. Patients can finally achieve the appearance that they want and deserve with the help of the team at Bella Rose Medispa. At Bella Rose MediSpa, each patient is treated as the unique individual that they are. The staff goes out of their way to make every person who walks through the doors of Bella Rose Medispa feel welcomed. Treatment plans are designed to meet the patient's ultimate goals. Whether the goal is a more youthful look overall, a new body for summer, or just improved total wellness, the physicians and experienced staff members at Bella Rose Medispa are here to help. Call anytime to arrange a consultation. CareCredit is a personal line of credit for healthcare treatments and procedures for your entire family, including your pets. It works like a credit card but it has two advantages: It can only be used for healthcare services and you can get no-interest financing every time you use it. Simply pay your minimum monthly payment and pay off the entire balance by the end of your promotional period and you pay no interest. 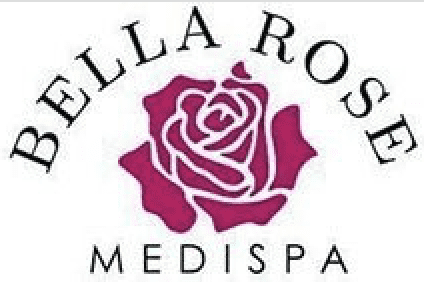 What is Bella Rose Medispa? This is a question that we ask ourselves every day. We believe that every woman has her own natural beauty and I believe that our mission is to simply enhance your natural beauty. "I am so pleased with the professional and outstanding support of all services provided by Bella Rose Medispa. I recommend giving a consultation a try!" "Great I love Bella Rosa and everyone their especially Jennifer she is great and I am loving my new self"
"I honestly can't wait until my next one... They are all experts at their craft, educating me and making me feel special all at once"
"Bella Rose has a beautiful and relaxing facility, loved every second of my massage. The staff was very friendly and respectful, would recommend .. to anyone"